U2 | What I think About When I Think About Writing. Free is good. There’s no price I’d like to pay more than nothing at all. I have my American friend, Dennis, to thank for that. His sense of frugality is eagle-eye keen, and it’s contagious. It’s the August Bank Holiday here (and the day before my birthday) and after the weekend I’ve just had, Dennis and I took a trip to The Red Stables at St. Anne’s Park, Raheny, to see an open-air concert. 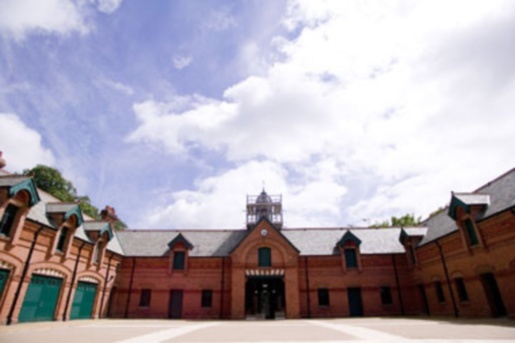 The Red Stables, St. Anne's Park: a perfect arena for markets and open-air concerts. Kila are an Irish folk music band that formed in 1987 and they’ve struck up a loyal following since then. I’ve seen their name pop up at festivals over the years. But since I’ve never been to a festival, I’ve never seen them play. Nor do I remember hearing any of their music. I wouldn’t be the most ardent of Irish folk music fans. Too much “diddley-iy” for my liking: men in Aran jumpers sitting in circles, playing pipes, fiddles and bodhrans. I know it’s part of my Irish heritage…but I don’t really like that kind of music. To me, Irish music is more about U2 (even if they’ve gone off the boil over the last couple of years), Thin Lizzy (the original and the best), Paul Brady (I tear up whenever I hear The Island) and Bob Geldof (did I say that out loud?). But it was a free concert and I love Dennis’ company, so I said why not. I loved it. I frikkin’ loved it. It’s a small venue. I’d say there were 250 people inside the gate, watching the performance; more outside the gate, too, looking in. I think public liability insurance only covers a certain number of people inside the actual venue. There were a lot of families attending the concert, seeing that it was a bank holiday weekend. The rain stayed away (thank heavens for small mercies), it was warm, and people were in good spirits. Kila put on a cracking 70 minute show. I wouldn’t describe them as your typical “trad” band. Sure, there were fiddles, tin whistles, flutes and bodhrans; but there were acoustic guitars, bass and drums. Almost all of the group play different instruments and this adds to their sound. African music is an obvious inspiration to Kila. Although the lyrics are in Irish, the beat is definitely sub-Saharan. The effect was and is mesmerising. So much so, people of all ages were up dancing and clapping hands. The craic, as they say, was mighty. I would gladly have paid to see them. Now, if it wasn’t for Dennis’ research, I wouldn’t have known a thing about this concert. It was organised by the Dublin City Council and it’s part of a series of free events in and around the north side of Dublin during the month of August. But I have to say it’s not heavily advertised, and that’s a pity. There are plenty of events such as these around the towns and cities in this country. Is it too much to ask that we shouldn’t have to go looking for them? But that wee rant shouldn’t take away from what was a brilliant performance by an ensemble that know their stuff. I’ll leave you with one of their videos. I hope you enjoy it. PS: I bought a couple of their CDs, too. That’s how you do business.